London Stock Exchange(LSE) Now Runs on Linux! 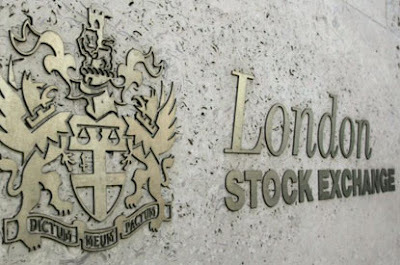 London Stock Exchange(LSE) has been testing its new Linux based core for sometime now and had recently set a new world record in trade speed using its new platform. The eventual adoption of Linux by London Stock Exchange(LSE) is now complete. The days of Microsoft .Net based TradElect platform at LSE are finally over and London Stock Exchange(LSE) has successfully set into live trading a new engine based on Novell SUSE Linux technology. The reasons behind this mighty switch over were rather obvious. LSE's previous Microsoft .Net based TradeElect platform has been marred with controversies from day one. The whole world witnessed several very high profile outages of TradeElect platform which eroded the image and credibility of London Stock Exchange(LSE) as world's premier stock exchange. The move has been considered as one of the LSE's most significant technological developments since the increasing prevalence of electronic trading led to the closure of the traditional exchange floor in 1986. LSE chief executive Xavier Rolet has insisted that the exchange, once a monopoly, will deliver record speed and stable trading in order to fight back against the fast erosion of its dominant marketshare by specialist electronic rivals. According to computerworlduk.com, the switchover is being closely watched world over as the new system will replace the existing TradElect platform, based on Microsoft .Net architecture and upgraded by Accenture in 2007 at a cost of whopping £40 million. The decision to scrap TradElect platform was made in 2009, after a number of major outages and as rivals started beating LSE on messaging latency.